High speed servers, extra privacy! Your VPN Extra IP address changes. No one at work, at school or at home can take your leave. It gives you a private browsing on the Internet. 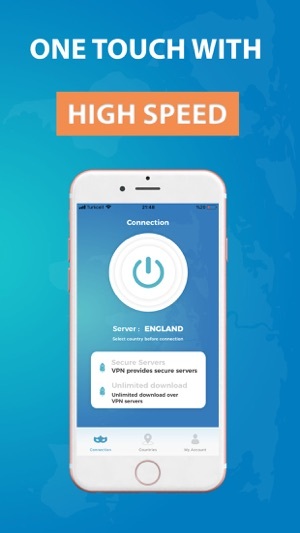 With high-speed servers in various countries, you can instantly transfer data at high speeds. Your IP address changes completely. At home, at school, at work or at a café. All your connections are hidden and nobody can trace your connection. Our servers hide the entire IP address. 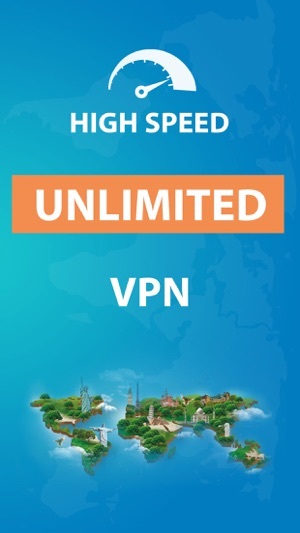 VPN prevents pirates to steal your information on the websites you visit..
- Try 3 Days Free. - Subscription period is 1 week after 3 days trial. Every week your subscription is renewed. 1 week subscription fee is 3.99 $. - The subscription fee depends on the payment you choose and will appear on the confirmation screen. - Payment will be reflected in your iTunes Account upon approval of the purchase. - If auto-renewal is not disabled at least 24 hours before the current subscription period, the subscription will be renewed automatically. - The account will be charged for renewal 24 hours before the end of the current period and the renewal fee will be set. - Subscriptions can be managed by users and automatic renewal feature can be disabled from the user's Account Settings section after shopping. - Unused portions of quotes offered on a free trial will lose their validity when applicable, when the user buys a subscription for that publication on that date. 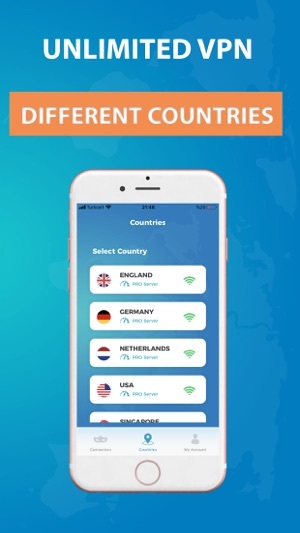 VPN Extra has a great coverage and it never causes problems while connecting to different countries.